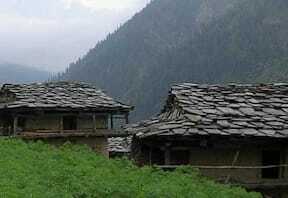 Himachal Pradesh is an enthralling destination, owing to its scenic environs and rich culture. It is said to be quite an ancient region with evidence claiming that it has been inhabited for the last two million years. Various clans, kingdoms and ethnic communities such as Kashmiris, Muslims, Rajputs, Gorkhas and British ruled it, which resulted in its cultural diversity. 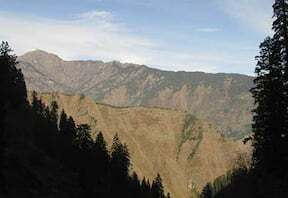 The state is also known for its numerous hill stations like Shimla, Manali, Kullu, Kasauli and Kasol, where you may seek refuge if the Indian summers become unbearable. 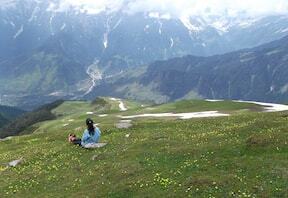 While you are enjoying your vacations here, you might as well go trekking in Himachal Pradesh, and elevate your joy. 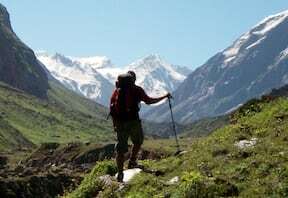 The major part of the state lies within the Himalayas, which is why there are loads of opportunities for you to hike. You can scale towering mountains, meander along rivers, cross velvety meadows, or walk on rivers of ice. Hike on your own or consult travel agencies if you do not know about the trails or destinations. 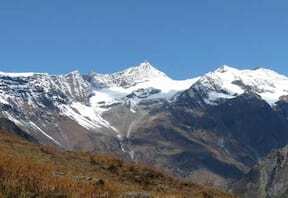 As altitude plays an important role in determining weather patterns, they are different for various places within Himachal Pradesh. Shimla, the state capital, is located at a mean altitude of 7217 feet; hence it has a subtropical highland climate. This means that the weather here becomes freezing cold in winters and sufficiently warm in summers. In January, the minimum temperature often drops to below 0 degree Celsius, and in summers, the maximum temperature sometimes goes beyond 30 degrees. If you travel further north to the district of Lahaul and Spiti, you will at once find a stark contrast in weather. Even in the height of summers, the weather here stays cool as the place lies at altitudes of above 10000 feet. 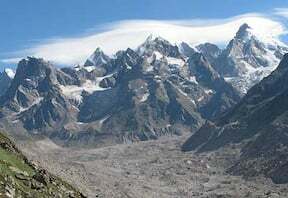 Due to its location in the mountains, the terrain in Himachal Pradesh shows high variance. The elevation in the state ranges from about 1400 feet to more than 20000 feet in its northern part. 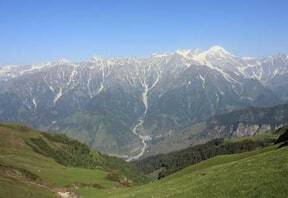 In the southernmost region, the Shivalik Hills rise to about 1900 feet above sea level. 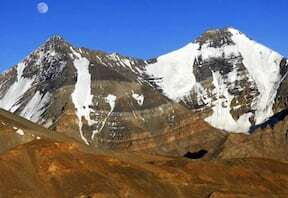 Beyond them lies the Mahabharat Range, which has an average maximum altitude of 9000 feet. 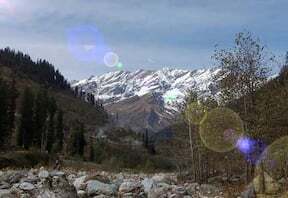 Further to the north, the Dhauladhar and Pir Panjal rise to about 20000 feet, and beyond them are the Great Himalayas. 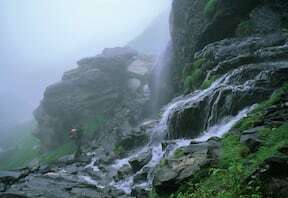 While trekking in Himachal Pradesh, you get a chance to cover various elevations and see different weather patterns. 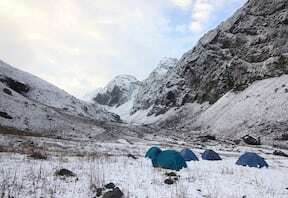 Hampta Pass trek is among the most popular hiking expeditions chosen for trekking in Himachal Pradesh, and you should definitely undertake it if you are here and have time. 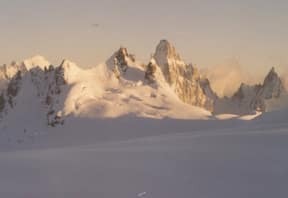 It is a relatively easier excursion, and you should choose to do it if you are a beginner in the art of mountaineering. There will not be a high risk of altitude sickness because the maximum altitude that you will climb up to will be 14000 feet. When the starting point of a hike is a place like Manali, you can only imagine what sort of spellbinding scenery awaits you ahead. The scenic beauty will keep on increasing from here as you travel to Chikka. It is a serene valley with forested mountains lining it on both sides; and a stream with rocky banks going past it. The next day, you cross the vegetation zone and reach the treeless yet mystical valley of Bhalu Ka Ghera. A narrow river flows through here that will provide unpolluted water for you. From here, you will make for Hampta Pass, and the sight of colourful wild flowers covering the slopes may make you not want to go home. 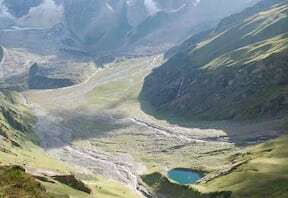 While returning from the mountain pass, you will visit the glacial lake of Chandratal. Another advantage of this hiking excursion is that it is short as opposed to the long and strenuous ones. You will continuing journeying on the mountainous paths for five days, covering a distance of around 26 km. This trek will give you the expertise to undertake longer and harder expeditions, where you will be required to walk for over 10 km every day. Due to the variation in elevation, the type of vegetation and wildlife within the state also differs to a great extent. Manali, from where this excursion begins, has lush evergreen coniferous forests of deodar trees. Sparse patches of deciduous sal trees are also found here, along with groves of poplars, walnuts, figs and oak. The way to Chikka is through thick jungles of towering conifers consisting of pindrow firs, deodars and morinda spruces, contrasted by oak. While ascending higher to Bhalu Ka Ghera, you will see the banks of rivers lined with pretty rhododendron bushes. Above the bushes, tall trees of silver birch will be clearly visible to you. After a while, you will see the path and the region covered with flowers of all colours possible. 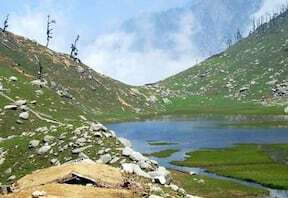 By the time you reach Bhalu Ka Ghera, you will be well above the tree line, and alpine grasslands will greet your eyes. 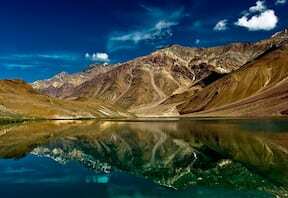 The region is home to snow leopards, many species of cats and deer, dholes, and hordes of resident and migratory birds. 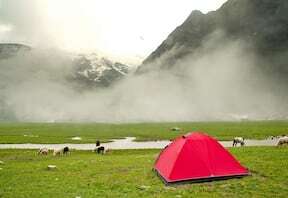 Go trekking in Himachal Pradesh and explore the best of nature it has in store for your.